Have the right exposure and reach target audience. You must have come across several cases and must have experienced yourself that you get irritated and move away from a site if it is too complicated to navigate or you did not like the design. So you do understand that it is critical to have a user friendly website. Every business must comply with the following factors to survive in the cut-throat ecommerce market. There is no denying the fact that it is detrimental to the quality of the content if the images of products are generic. One of the best ecommerce tips and tricks is to create images that grabs the attention of the customer. Taking screenshots of a product should not be the criteria rather the highlight should be on the areas that would interest the visitor. Customers cannot feel the product so they want to see as much as possible what they actually are buying before they go ahead to the “buy now” button. It is essential for every website to display their search bar prominently. When a visitor does not find a product, the first thing they do is try to find it on the search bar. They will just go away from your site to a competitor’s if they do not find the search bar. Technology has given the internet user many options. It has become necessary for the website to be responsive. The visitor today is short of time and wants to act instantly. They look for websites that can be approached from their mobile devices. So you need to look for a ecommerce website designer who will build your website that is accessible even from the smartphones and tablets in addition to desktops. Your site has to be up-to-date with everything. 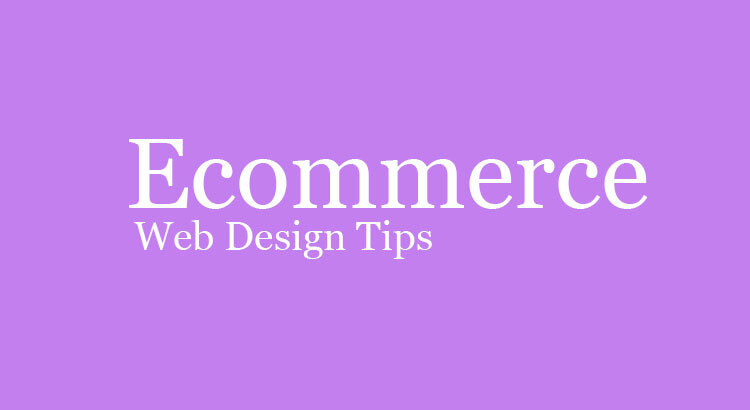 One of the crucial tips for ecommerce success is of having an honest and integrated approach. Visitors as mentioned above, do not have time. After navigating and reading about a product, if they find that the product is out of stock they will get angry and will not return to your site. Similarly, the price mentioned beside a product should be the final price. There should be no hidden costs or surprises. All taxes and surcharges that are applicable have to clearly be mentioned. It is important for an online business to be available round the clock for their visitors. It should be fast and respond quickly to a visitor page request. Visitors will abandon your site if it is slow. Researches have confirmed that a visitor does not wait longer than 15 to 20 seconds and move away as they have plenty of alternative stores. A professional ecommerce website development company or an experienced creative ecommerce designer will ensure that the ecommerce store is uniquely designed and optimized for social media. They will place the promotional banners and offers prominently to attract the visitors and woo them to buy their favorite products at far lower prices. Keeping the offers time-bound will create a sense of urgency among the visitors and boost conversion rates. Give a money-back guarantee and easy refunds policy to make the buyers feel safe. Ensure the website is compliant to all security norms and has the SSL certificate and https security layer to gain the trust of a visitor to the website. Encourage the customers to write their reviews about the website features and the quality of products so that you can work upon their suggestions and feedback and improve service quality.